Home bestoutofwaste creative dailythings design DIY facebook hacks Interesting interior recent slider Don't Throw IKEA/Amazon/Any Online Courier Box. 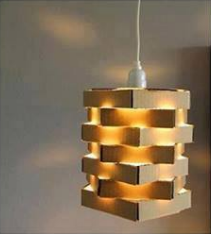 Reuse Them To Design Your Lamps Now! Don't Throw IKEA/Amazon/Any Online Courier Box. 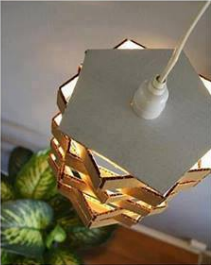 Reuse Them To Design Your Lamps Now! Tired of looking at the filament bulbs hanging around in the house? Then why wait to create a beautiful casing for them! 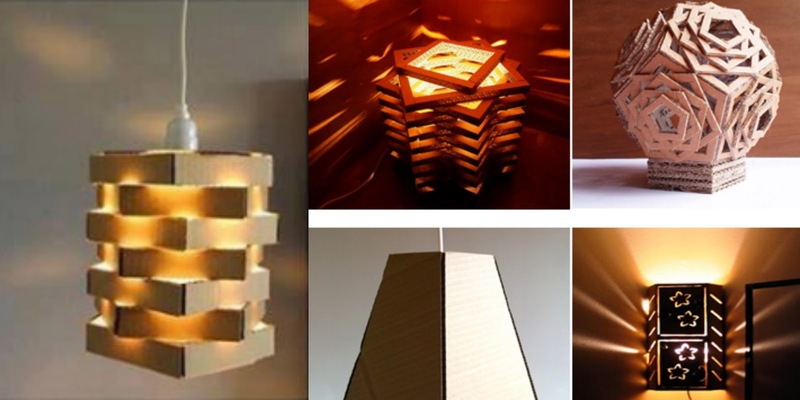 STEP 1: Pick up a cardboard box of desired shape and cut it into smaller pieces with the desired thickness.To make it more attractive, we arrange them in a zig zag way as shown below. STEP 2: Now pick up a piece of cardboard and cut it as the same shape and size of the pentagon. Cut open a hole so that the bulb holder can be fitted into it. STEP 3: We are almost there! Arrange this piece of cardboard over the stacked cardboard pieces and stick them firmly using a glue gun. Fit in the bulb and hand it at the desired location and there we are! STEP 4: And now.. Pick up your poster colors and pretty stickers or colorful gift wrappers and papers to decorate it to make it more pretty! 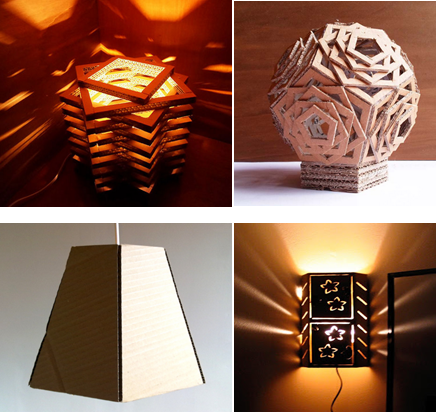 Similarly, you may create different types of lamp shades as below!